EquiGrace, Inc. is a PATH Intl. 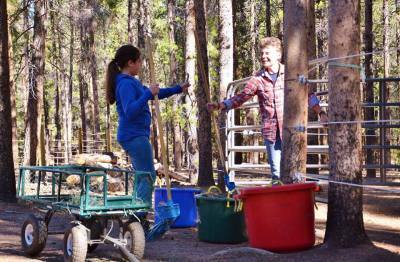 Center and offers equine assisted activities and therapeutic riding services for individuals with special abilities in need. Our certified PATH Intl. 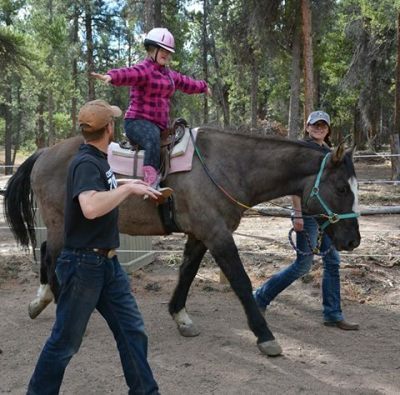 Instructors, trained therapy horses and volunteers provide individual sessions specifically designed for each individual and their goals to allow maximum opportunity for personal growth, healing and enrichment. Come ride with grace and discover YOUR wings! EquiGrace is moving right along! EquiGrace is proud to announce that we have purchased our own property! Our new location is more centrally located in Park County to include Bailey, Fairplay, Indian Mountain, Hartsel, Shawnee, Pine and potentially Breckenridge and Conifer. As of the new year we are moving right along. We are getting together our Spring/Summer 2019 schedule which will include Veterans Retreats, Day and Week camps for children of all abilities and Touch Therapy Events. So please stay tuned. And follow us on Facebook to stay current on events and activities! You can donate supplies, you can donate your time, or you can go even go to Pine Country Feed and buy the horses some dinner. Every little bit helps. We are looking for items that can help us build and expand what we have currently. So if you have some great barn things gathering dust, like corral panels, or some leaky stock tanks we can use as hay feeders, even materials to build some small out buildings for storage would be wonderful. We will also be scheduling a work weekend here soon to put up our recently donated arena fencing, so just your time is greatly appreciated. If you have other ideas on how you can help, please give us a call! We love great ideas! Oh and don't forget! We are a 501(c)3 charitable organization so all your contributions are tax deductable and we will send you a reciept. We offer programs for veterans, firefighters, police officers and all emergency personnel. Discover the power and benefit of horses through PATH Intl. Instructors and programs. 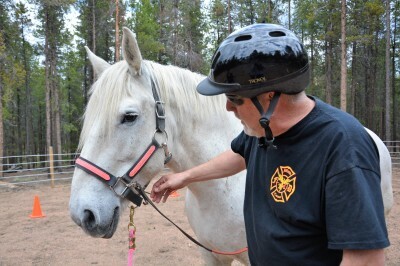 Come join us in bringing these amazing programs to those who need the healing power of horses.